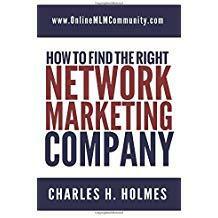 My name is Chuck Holmes and I am a MLM Coach and Certified Small Business Coach. What is a MLM Coach? As a child, your parents were your first coach. I’m sure you had other coaches as well, such as a soccer coach, football coach, or baseball coach. A coach is someone who guides you and shows you the way. They’ve been there and done that and can share their experience with you, so you can avoid many of the mistakes they made in the past. Coaches encourage you, teach you new skills, and help your grow as a person. A MLM Coach is someone with proven experience in the network marketing industry, who teaches you what it takes to succeed in the business. They help you solve your problems, learn new skills, grow your business, and develop as a leader and person. They help you set goals, create action plans, and overcome obstacles. 1. To Learn New Ideas – Most coaches have a lot of experience and can offer you different tips and techniques to build your business. Maybe they have a good way at getting leads, a better way to give your presentation, ideas about finding more customers, or a secret tip on getting your new distributors started out right. One good idea can change your business forever. 2. To Gain a New Perspective – Typically, you look at the world from your own point of view. You don’t know what you don’t know. Since most coaches are already successful in their own right, it would be a good idea to learn from them, and see what their perspective on certain issues is like. 3. To Get Motivation – Most successful people are already self-motivated. But, we can all use a little extra motivation from time to time. Talking with a coach can give you that extra motivation you need to succeed. They can do this in two ways. First of all, they could give you the pep talk you need to get back on track. That’s better than nothing. But, the best way they can motivate you is to give you the knowledge you need to succeed. 4. To Overcome Specific Obstacles – If you are struggling with certain aspects of your network marketing business, a MLM Coach can give you a game-plan to follow to overcome your challenges. They can offer step-by-step instructions to solve your problem. 5. To Develop New Skills – No one is good at everything. Even if you are good at recruiting, there are always areas you can improve upon. If you want to be successful in this industry, you need to master a few basic skills. A good coach can help you do that. Before you hire a MLM Coach, you should check their credentials, to make sure they are qualified to give you advice. It would probably be in your best interest to shop around and get a few comparisons, before you hire someone. I can’t say that the “cheapest” coach is always the best, nor is the most expensive coach, but you should have a ball park idea about typical costs. If you shop around, you will find the going rates. Additionally, you should make a list of questions to ask your MLM Coach, ahead of time. Send them this list of questions before the session, so they can review it. During the call, LISTEN. Don’t be a hot-shot. Since your coach already has your questions in front of them, you will be able to get answers to your questions/concerns. Obviously, you will have to APPLY what you learn. You can pay for coaching until the cows come home, but ultimately you need to take your new skills and apply them in your business. The main reason you should hire me as your MLM Coach is because I can help you solve your problems. I am very good at taking complex problems and breaking them down into simple action steps you can follow to be successful. I am very skilled at creating action plans. I’m also a great listener. I charge a flat rate of $100 per hour. If you would like to hire me as your MLM Coach, please contact me and I will send you an invoice via PayPal. Every successful person I’ve met has a coach. To succeed in network marketing, you need a MLM Coach. If you are fortunate, and have a great sponsor or upline, consider yourself blessed. Most people do not have that luxury. On the other hand, if you are looking to hire a MLM Coach, I hope you will consider working with me. I aim to please and know I can help you overcome your obstacles in the business.